Having an Apple watch makes it easier for you to pick a call, receive or send a text message right from your wrist without having to search for your iPhone. However, the Apple watch will on occasions experience iPhone contacts not syncing with Apple watch. This may happen suddenly without any warning. This may occur when trying to import contacts to the Apple watch and they do not correctly import for some unknown reason. This would mean that there are some contacts that transferred from your paired iPhone to the watch and other contacts that did not transfer. This is a problem that some Apple users have complained about when using the Apple watch. Apple has come up with some solutions on how to fix the problem. 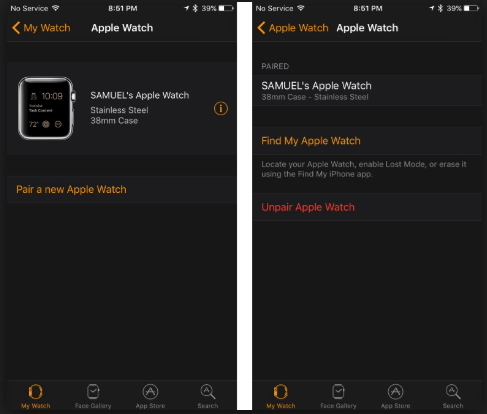 In this article, we give you a few of those methods that can help you when you have this problem with your Apple watch. 6. Photos Of Contacts Disappeared By Accident? How To Recover Them? Step 1: Press and hold the Side button until you see the Power off slider appear. Step 2: Swipe the Power off slider completely to the right. 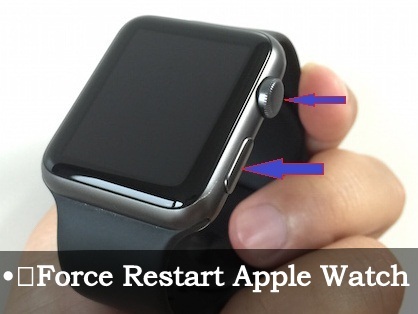 Step 3: Then you need to restart your Apple watch again by pressing and holding the Side button till the Apple logo appears. If there is no response, force restart again. 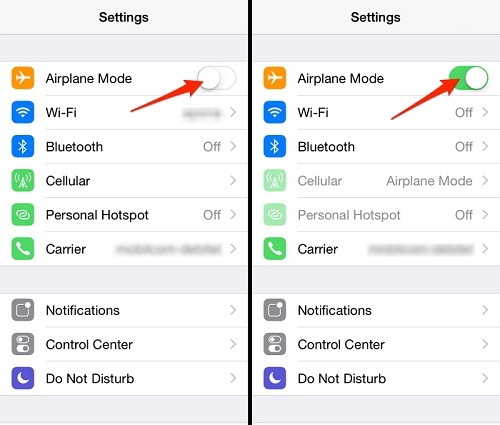 Step 1: Go to your iPhone and launch the Settings app. Step 2: Turn On Airplane mode for a few seconds. Step 3: Turn it Off then reboot your iPhone. Step 1: In order to have a reliable connection, make sure the Apple watch and iPhone are close. Step 2: Go to your iPhone and launch the Watch app. Step 3: On the My watch tab click on the My watch on top. Step 4: Click on the (i) icon. Step 5: Click on Unpair Apple watch tab. Step 6: Confirm your action then enter your Apple ID and password. Pair the app again and launch it then press the Side button to start the Apple watch and click on Start pairing. Bring the phone to the animation on the watch and once the phone is recognized, the sync will be successful. Restore the setting then check if all the contacts have synched successfully. Step 1: Go to your iPhone Contacts and select the problem contact. Step 2: Click Edit from the top right side. 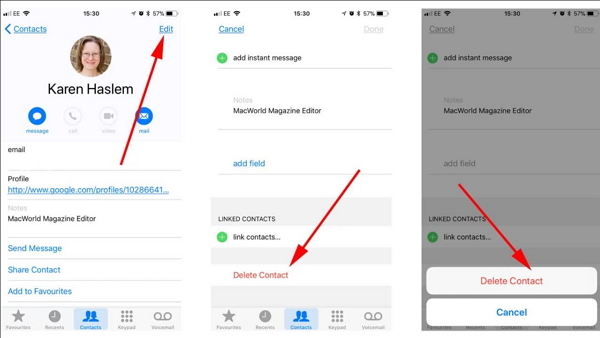 Step 3: Then scroll down to delete the contact, click on it and confirm your delete action. Step 1: On your iPhone go to the Watch app. Step 2: Click on the My watch tab. Step 3: Then click on the General tab and tap on Reset. 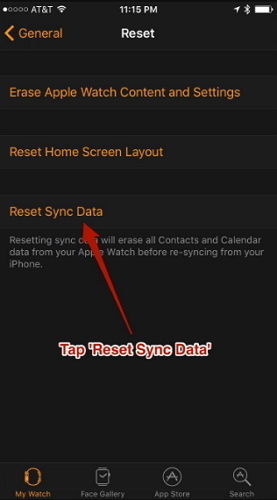 Step 4: Lastly, click on Reset sync data tab. It will take around 2-3 minutes for you to notice any changes as the program is running in the background. 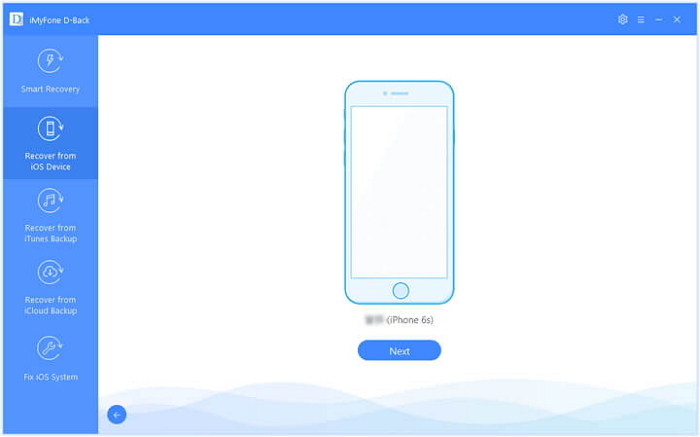 iMyFone D-Back is a recovery tool that is designed to help you recover any lost files from your iOS devices, iTunes or iCloud if your iPhone is damaged, cannot remember the file passcodes or if you accidentally deleted the files. 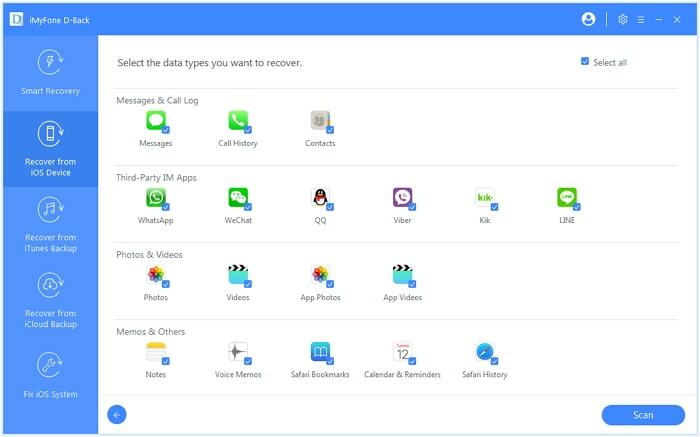 And you can view the deleted files including contacts and its attachments, photos, videos, messages, notes, WhatsApp messages, viber, etc. with this program for free. Step 1: Go to the Recovery for iOS device and click on Start. Connect your iPhone to your PC and once the program detects your iPhone click Next. Step 2. Select the files you want to recover then click Scan for the program to check for the deleted data in your iPhone. Step 3: Once the scanning is complete, you will be able to view all the recoverable data on your screen. 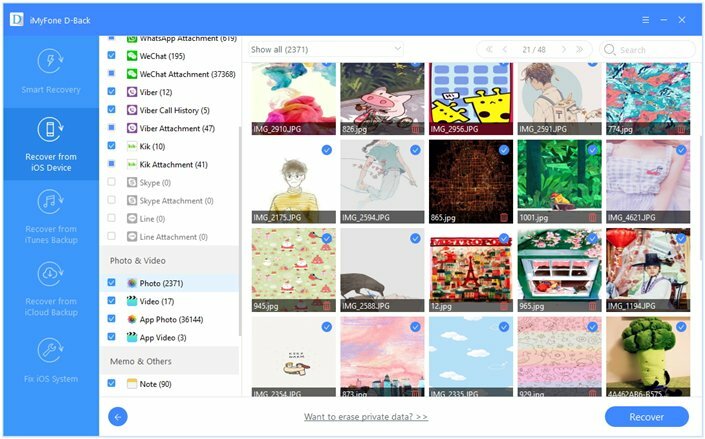 You can go through all the files one by one to check the files you want to recover or you can preview the deleted files only by clicking on Show only the deleted files tab. You can then select the files you want to recover then click on Recover at the bottom right corner. You can then select where you want to store the recovered files from the pop-up window then wait a few minutes for the process to be complete. Many Apple users may complain of iPhone contacts not syncing with Apple watch on a few occasions. This is an annoying error and one that makes you not access some of your contacts using your Apple watch. Apple has come up with a few solutions that will go a long way in helping you deal with the occasional syncing problems when pairing your iPhone and Apple watch. The various fixes provided above are an eye opener when you want to fix contact-syncing problems with your Apple watch.